The New Lawyer: Foundations of Law, 1st Edition (James et al.) 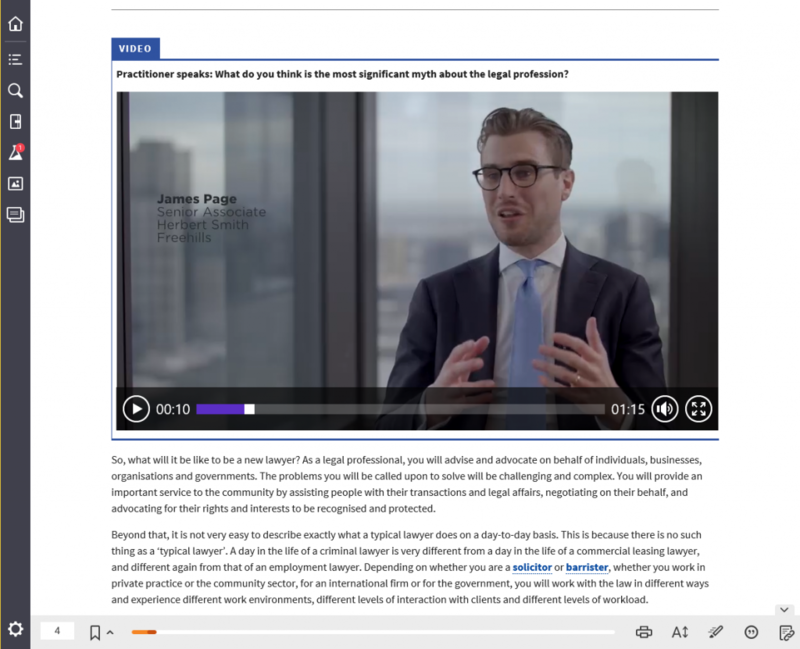 has been written for first year Australian law students to make the transition to law not feel so overwhelming. 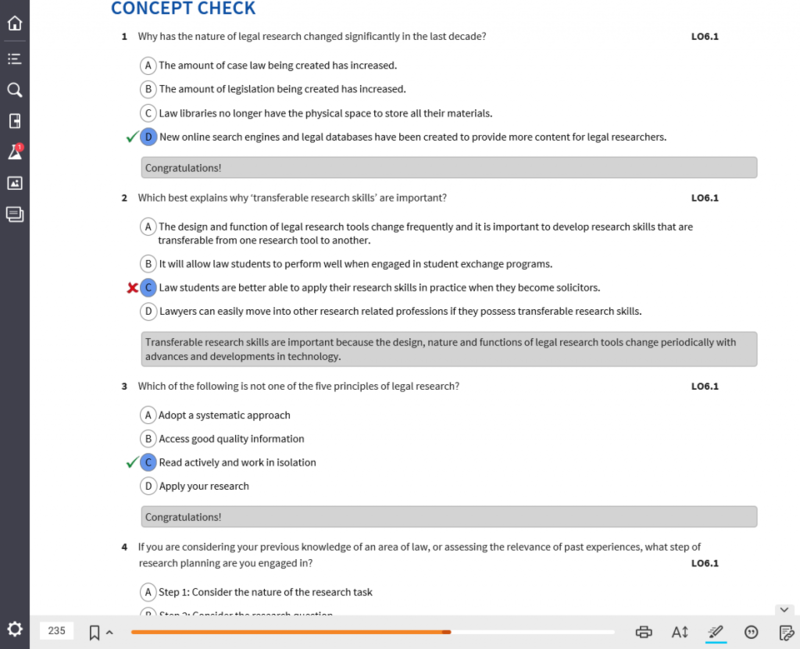 The book addresses the law threshold learning outcomes (TLOs), and outlines what students should know, understand and be able to do after their first year of study. 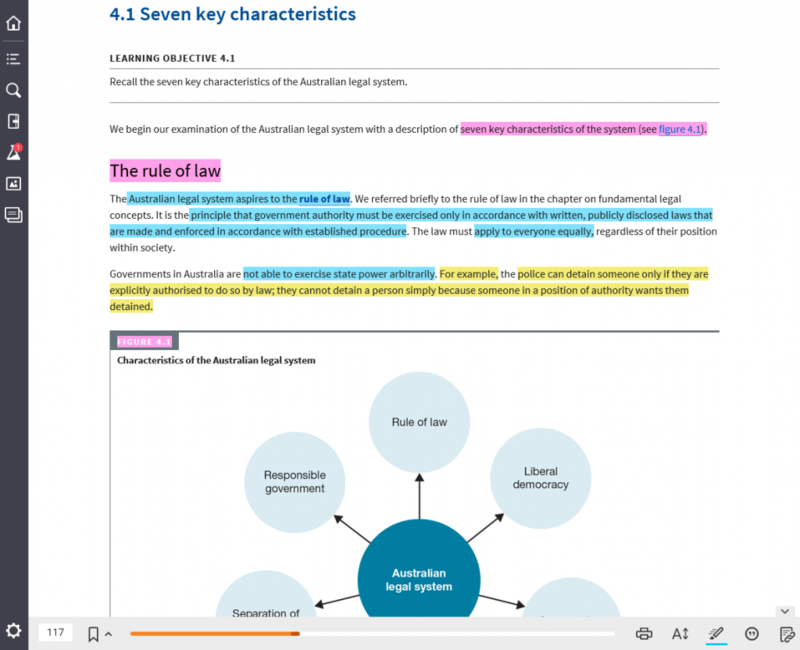 Our interactive eBook supports students by providing practice and feedback at the point of learning. Rachael Field is a Professor in the Faculty of Law at Bond University, and a member of the executive committee of the Centre for Professional Legal Education. Her areas of research expertise include dispute resolution, legal education, family law and domestic violence. Rachael is an Australian Learning and Teaching Fellow, member of the Fellows Executive and a Senior Fellow of the Higher Education Academy. In 2010, Rachael contributed significantly to the drafting of the Threshold Learning Outcomes for law, which have had national and international impact. She has a portfolio of more than 80 scholarly publications, many of which are legal education focussed, and is co-author of four books. In 2013 Rachael was named Queensland Woman Lawyer of the Year. Jackson Walkden-Brown is an Assistant Professor in the Faculty of Law at Bond University. Jackson’s principal areas of teaching and research include legal education theory, legal foundations, animal law and entertainment law. 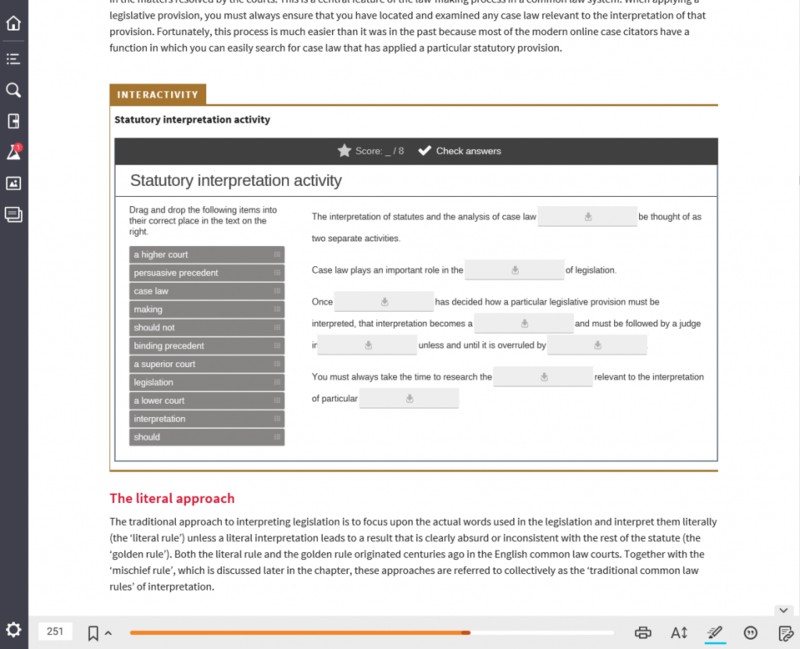 He has designed curricula for a significant number of compulsory, elective and clinical law subjects, for both traditional and online delivery. For most of his academic career, Jackson has also maintained a part-time practice as a solicitor, specialising in entertainment law. He has a keen interest in exploring the digital disruption of legal services and embracing technological advances to develop new and innovative ways to deliver cost-effective legal services to his clients. Jackson also has extensive practical experience in the pro bono sector and an ongoing relationship with a number of community legal centres and volunteer organisations. 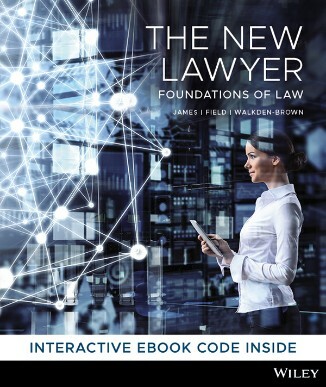 Students can purchase their The New Lawyer: Foundations of Law, 1st Edition (James et al.) textbook from Wiley Direct.